Andy Walker and Ian Crocker take you though the midweek Scottish Premiership fixtures. Ian Crocker and Andy Walker preview the first full card of Scottish Premiership midweek fixtures. 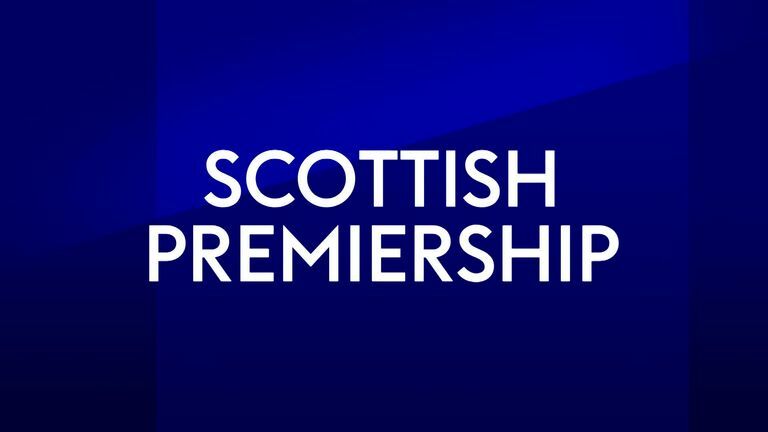 Watch all the goals and hear post-match reaction from every single Scottish Premiership match this Wednesday night on Sky Sports News from 10pm. Live match updates from all six fixtures will also be on Soccer Special from 7pm. Highlights will be available online and on @ScotlandSky from Thursday morning. A round-up of Saturday's action from the Scottish Premiership. Aberdeen have won each of their last eight home games against Hamilton Academical in the Scottish Premiership by an aggregate score of 19-1. The side playing at home has not lost a league meeting between Aberdeen and Hamilton since February 2015 when Aberdeen won 3-0 away at Hamilton. The home team has won seven of the nine fixtures since (D2). Aberdeen have lost two of their last three league games (W1), as many as their previous 16 combined (W8 D6 L2) since they last lost back-to-back league matches in February last season. Hamilton have only won one of their last 13 away league games (D2 L10), a 1-0 win over Motherwell in their first away game of this season. Aberdeen's Niall McGinn has been directly involved in seven goals in his eight league starts for the Dons against Hamilton (four goals, three assists). Lewis Ferguson: Made the difference at Hampden, now he faces his former club. Darian MacKinnon: Will certainly make his presence felt in Accies' midfield. Graeme Shinnie: Tremendous leader for Aberdeen in victory over Rangers, important they now improve greatly on their league position. Dougie Imrie: Found the net at the weekend, winning a vital point at Kilmarnock, every game is a tough one for Accies. Dundee last beat Celtic in the league in May 2001, since going 29 meetings without a victory over the Hoops (D6 L23). Celtic have never lost away at Dundee in the Scottish Premiership in 19 previous visits (W14 D5). Dundee are bottom of the Scottish Premiership having lost nine of their 10 league games so far (W1). Celtic have won each of their last three league games in succession, last winning four on the trot in August 2017 (eight straight wins). Each of Dundee's five league goals this season have been scored by different players. They are the only Scottish Premiership side yet to see a player score more than one league goal this season. Jack Hamilton: Restored goalkeeper likely to be in for a rather busy night. Ryan Christie: Cracking goal at Murrayfield and eager to make the most of life at Celtic. Darren O'Dea: Hoping to shine for his new boss and against his former club. Mikel Lustig: Has been tremendous for Celtic over the years. Hearts have only lost one of their last 11 home meetings with Hibernian in the top flight (W7 D3), a 2-1 defeat in May 2013. Hibs have lost just one of their four league clashes with Hearts last season (W2 D1), although that was the most recent one, a 2-1 loss in May. Hearts lie top of the 2018-19 Scottish Premiership with eight wins from their first 10 games (D1 L1). It was not until their 23rd league match last season that they won their eighth game. After losing 4-2 to Celtic in their last league game, Hibs will be hoping to avoid suffering back-to-back Scottish Premiership defeats for the first time since December 2017. Hearts forward Steven Naismith has scored more goals (seven) than any other player in this season's Scottish Premiership, scoring in both of his last two games. Craig Wighton: Has the ability and might get a run in side to prove it now. Martin Boyle: Boundless energy and a few goals lately to add to the mix. Arnaud Djoum: Big injury concerns for Hearts, Djoum should show what he can do. Efe Ambrose: Has been in terrific form of late. The only previous season in which Livingston and St Johnstone have met in the Scottish Premiership was 2001-02; both sides won one, drew one and lost one of the three such encounters that season. St Johnstone's only previous Scottish Premiership visit to Livingston saw them lose 2-1 in December 2001. Since losing 3-1 to Celtic in their season opener, Livingston are unbeaten in eight league games (W5 D3), the best ongoing run without a defeat of all sides in the Scottish Premiership. St Johnstone have won both of their last two league games without conceding a goal. They last won three consecutive Scottish Premiership matches in August 2017. Livingston's Keaghan Jacobs has had a hand in three of their last five league goals (one goal, two assists), having failed to score or assist a goal in any of his first six league games of the season prior to this. Craig Halkett: To be honest could pick any one of Livingston's outstanding centre-halves! Tony Watt. Eventful shift against St Mirren! A goal must be coming! Dolly Manga: Brings the physical presence up front for the impressive new boys. Ricky Foster: Still putting a great shift in for the Perth men. Rangers have only won one of their last five league games against Kilmarnock (D2 L2), although that was their last encounter in May last season. Kilmarnock have won two of their last five visits to Rangers in the Scottish Premiership (D1 L2). They had only won two of their first 25 away matches against the Gers in the competition prior to this. Rangers are yet to lose at Ibrox under Steven Gerrard in all competitions, winning nine of their 11 home games under him (D2). Since the start of September, no side has earned more points in the Scottish Premiership than Kilmarnock (16, level with Hearts). Kris Boyd scored three of Kilmarnock's four league goals against his former side Rangers last season. Alfredo Morelos: On a goal run and raring to go after having to sit out League Cup disappointment. Alan Power: Has started every game for Killie this season and easy to see why. Daniel Candeias: A strong, willing worker for Steven Gerrard's men. Scott Boyd: Will be tested greatly at Ibrox where the home side are so strong. St Mirren have alternated between victory and defeat in their last five home meetings with Motherwell in the Scottish Premiership - they won 2-1 last time out in May 2015. Motherwell have won three of their last four top-flight games against St Mirren (L1), as many as their previous 11 combined (W3 D5 L3). Since winning their season opener 2-1 against Dundee, St Mirren have gone nine league games without a win (D1 L8), the longest ongoing run amongst sides in this season's Scottish Premiership. Motherwell have lost four of their last five league games (D1) since beating Dundee 3-1 at the start of September. St Mirren and Motherwell are two of just three sides who are yet to win more than one game in this season's Scottish Premiership (also Dundee). Adam Hammill: Was always a lively presence for his English clubs and St Mirren need lively. Danny Johnson: Serial sub of late but could make an impact in a tight game. Craig Samson: Excelled at the weekend against St Johnstone despite yet another defeat. Carl McHugh: McGugh can influence Motherwell's climb away from being too close to the foot of the table.